It’s the middle of the semester, and if you read another textbook you’ll scream. We get it. This book will transform the way you communicate ideas. 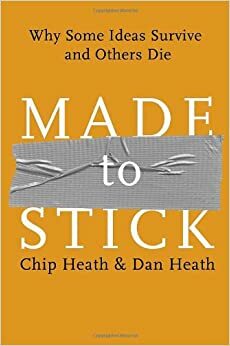 Chip and Dan Heath’s Made to Stick is all about how some messages stay in consumers and readers’ minds and why others don’t. Public relations practitioners, advertisers and marketers will learn valuable lessons in this fast-paced and entertaining read. Networking is crucial in public relations – according to a report from ABC News, 80% of today’s jobs are landed through networking. But building a personal network takes work, and it’s more than just sending out LinkedIn invitations. 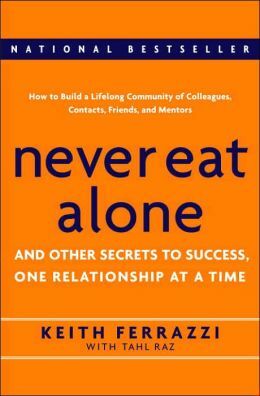 Reaching out to potential employers, mentors and colleagues may be daunting, but Keith Ferrazzi’s Never Eat Lunch Alone hands out practical, proven principles and demystifies the process of making connections. Who are “outliers”? People like Bill Gates, Michael Jordan, Albert Einstein are outliers; they’re the best at what they do, the brightest in their field. 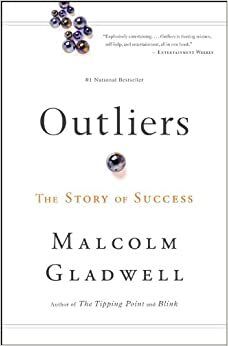 Malcolm Gladwell’s Outliers transforms the way we understand success – we spend too much time looking at what influential people have overcome or how hard they’ve worked that we forget to consider the greatest key to their successes. Hint: it’s not what they’ve done, it’s where they’re from.